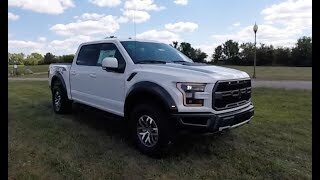 Bought a 2018 Raptor about a week ago. 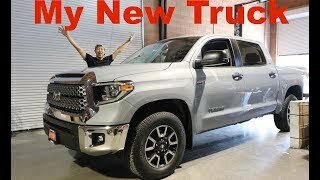 Just a quick video about my experiences so far with the truck. I'll update this as I go with more in depth review on exterior and interior features. Have you taken it off road yet? +The Kid 2.5 inch leveling kit on the front and a borla S-Type exhaust system. It's also vinyl wrapped but thats coming off soon hopefully. NVM just saw your other videos I see that you did lol. 😂. Yea, I was confused at first on what to put in and some of these dealers act like they care but really they don't as long as they made there sale there all good. 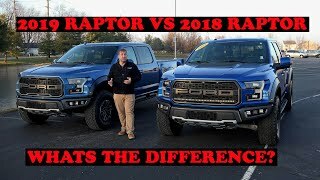 , so I figured I'd ask some legit owners of raptors and get there opinion on it. Did do you any modifications to it yet? honestly all ive come up with is light bars. rough country makes good lights. think they may be expensive though. hahaha. 0 tickets for the 4-5 years I had it. loved it though. Mine had lots of weird issues though. Spent a lot of time at the dealership. 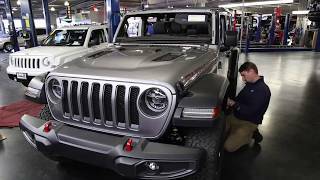 jeep paid my car payment one month it was so bad. I had a 2010 Sierra before i got the jeep and loved it too. 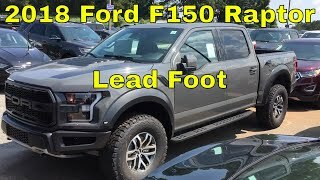 Raptor may get traded in on a plat f150 or something. not sure yet. Kinda surprising they were that easy to take off. glad I dont have them. 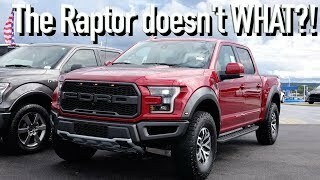 I'm on my second Raptor this ones a 2017 Ruby Red first was a 2013 I do think I liked the V8 better how long it take to order and receive your truck. I believe I ordered mine in late july, got it early Sept. Only thing about the v6 i dont like is the lack of exhaust note. Otherwise the engine is awesome. 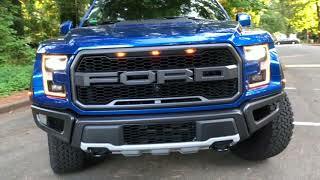 Direct comments, appreciated since I'm probably gonna pull the trigger on a Raptor after driving it and an F-150. How bad must Diet Mountain Dew be? agreed. those bikes make me nervous just seeing other people on them. 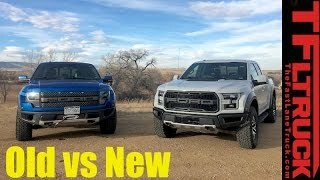 Talking about parking...I was surprised to find that the Raptor doesn't Have "active park assist"...great for times when you maybe less than 100% alert, maybe you came from a bar or party and had a few too many, or you're simply uncomfortable perpendicular or parallel parking in tighter than "usual" spaces...why not greatly minimize the chance for a costly mistake? Or, your teen is borrowing the Raptor..etc. 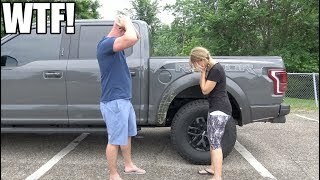 I wonder if there's an aftermarket "active park assist" add-on available and can be added to a 2018 Raptor...made by another compnay...if you're not afraid of voiding the warranty. 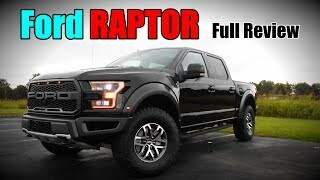 Just bought a 2018 Raptor 802A in black just like yours. So far, love the thing. Got into mine for 70K. good deal. im still enjoying mine. yeah man itll probably be pretty cool. I'm meeting up with Will Motivation and Matt from ObsessedGarage there. Should check their channels out if you havent! Big Guy Bigger Truck awesome thanks I will take your advice 😊 I wish we were going at same time that would be cool. I’m sure you will have a blast. you should get something in the mail (a few weeks/month after you get the truck if i remember right) with instructions. or you can just go here http://www.raptorassault.com/en/register-now.html and sign up with your VIN etc. I'd pay the $85 for the insurance. All you gotta do is get yourself there and pay for a hotel room. GRATS man! thats awesome. I'll go check it out. I've been ultra busy lately and hadnt really done much with the truck. I did install exhaust which im working on a video for soon. Going to Raptor Assault in a week or 2 also, so theres a vid coming for that. Got some other stuff in the works. More to come i promise. Hello there Mr. how much did you pay for it and how much was it out the door? 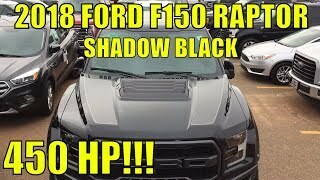 I want one so bad I test drove one the other day but the dealer placed a $10,000 mark up. I wasn’t willing to pay it. 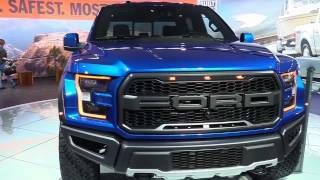 Do you know if I can order a stock bare minimum base model Raptor direct through ford to avoid the Markups here in California? btw great video. Big Guy Bigger Truck thank you for the prompt response. You are correct I found one in Kansas msrp no markups but not the color I want, it’s lightning blue. 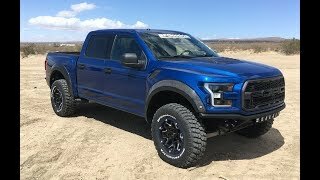 My search continues and the chance of me buying a raptor is on its way to becoming a reality thanks to your advice. the truck it self was right at 70k, maybe 70,300 before tax/trade in. No markup. I dont think its even legal to buy directly from the manufacturer without going through a dealership so you'll have to deal with them. As far as markup's and how to avoid them I'd suggest looking out of state. If you look around the midwest especially you can probably find a dealer selling them at Sticker. My sales guy here in memphis said that if anyone came to him at my recommendation he could probably get the 5k markup they have removed. Consider buying out of state and paying the 500-1000 $ to have it trucked in from wherever. it'll be worth it. Mike Bass Ford in Ohio has about 9 of them currently and it looks like theyre at sticker. They're out there, you just have to hunt for them and call people. 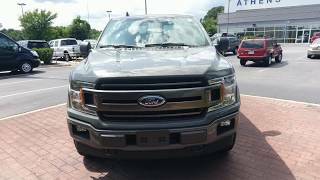 Honestly, go drive one and figure out what options you want, find one out of state, call the dealer, pay to have it trucked in and enjoy. That's what I'd do. thx for watching man. I've got an update coming shortly i hope. Hey I’m new to trucks and just got myself an 2018 f150 lariat v8. 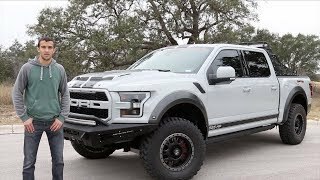 I wish I just paid up for the raptor but just couldn’t afford it. I know I can’t ever make it the same but what mods would you recommend for v8 lariat? no problem man. dont ask the dealership about forscan though. if you have any questions I have a video (maybe 2) about it and can help you with the settings/setup for a few things. let me know. Big Guy Bigger Truck thank you. Sorry for the delayed response but I will check out the dealership and forscan. I too was also thinking of maybe an air intake/tuner so I think that’s where I’ll start. Thanks for the help!! Hey thx for watching. Hm, if I had a v8 i'd probably say cold air intake + tune. Potentially exhaust swap to something like borla atak's. dunno how close you are with your dealership but you may want to talk to them about mods and warranty. also may want to look at forscan to see if you want to make any changes to your trucks settings. Depends on what you want. 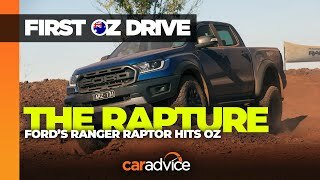 If you want a full size truck, Raptor. If you want a midsize truck, Ranger. 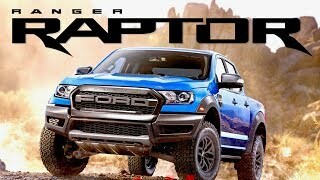 Raptors gas, Ranger Raptor is diesel. Stats are way different. Raptor Ranger is going to start high 30s at least probably. Raptor starts at around 55k. They're completely different trucks so it really depends on what you want out of it. how many bags of groceries can you get in it with 2 car seats? i think im a little slow this afternoon, but are you trying to say something along the lines of "you dont use that car for what its meant for, its just a grocery getter" ? 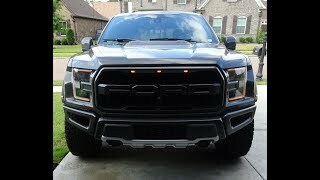 Are the 3 orange Raptor grill lights to be illuminated when driving, or perhaps only when in park? Big Guy Bigger Truck All time on night be cool, but as second best, night running works. Cool deal. Kinda figured. I've read about people rewiring to put them on one of the aux switches but I dont know that I'd want to do that. Big Guy Bigger Truck Thanks. Got it figured out now though. They come on nighttime running lights only, and not the daytime runners. I'll check when i go out for lunch. I honestly cant remember. I feel like they only come on with running lights/head lights. If the lights are off I THINK theyre off too but I'll verify. Big Guy Bigger Truck yes almost like that . 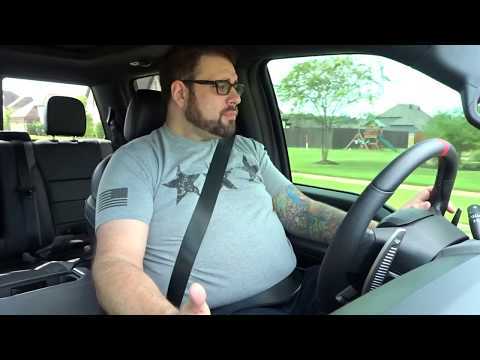 I notice American truck tax her so mush . Anyway enjoy ur truck man have great day . Man, I hear the prices of these trucks in some places and I feel like I got mine for free lol. Thanks for watching. Thanks for the video. I'm trying to decide now, one of these or a new Dodge Cummings. love the lead foot grey! will your seatbelt help you in a crash? nice truck!! I hope I never have to find out lol. Thanks for watching man! Fyi. Alignment issue won't cause a vibration. Big Guy Bigger Truck Not the actual alignment itself. A worn part. Yes. vibration can absolutely be a sign of alignment issues. Good Video. 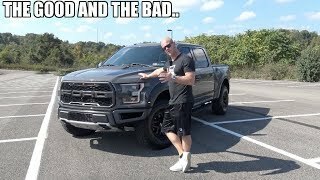 Owned one of the first Raptors with the 6.2 and it was a hot rod. Have had a Platinum now for a couple years and both were good trucks. No issues. Going back to a Raptor soon and was just curious. Thanks, pretty well covered it. May have been asked already. What is the ride like? In town, asphalt jungle. it's a little rough. it definitely doesnt ride like say a Denali or even a Platinum/Limited. It's not bad though. Once you hit highway speeds its totally smooth and doesnt feel like an offroad intended truck. Thanks for watching man!